One of the most visible pieces of equipment from the driver seat of a classic Mustang is the instrument gauge cluster; you’re constantly looking at it and if its old and worn, it’s time to do some restoration on this piece. This article and video demonstrates how this resto job can completed in an afternoon. 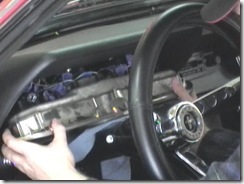 Before you can restore the instrument gauge cluster in your Mustang you will most likely have to remove it from the car, if so then you may want to view the article “How to Replace a Mustang instrument Bezel” which demonstrates how to remove the gauge cluster. 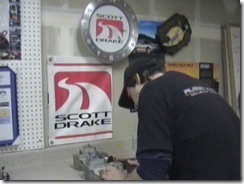 Once you have the instrument cluster removed from you Mustang and on the bench your ready to get started. If you’re restoring a 1965-66 Mustang gauge cluster then you wont have to worry about the wiring during the restoration, but for the 1967-68 Mustang you will most likely have to remove and clean the wiring, and before you do that you should take a picture of the back of the cluster with the wiring in place so you can reference it during reassembly. Remove the wiring and bulbs from the back of the instrument housing. The wiring can be cleaned with wax and grease remover which will preserve the color codes and stripes that would typically be removed if you use lacquer thinner. 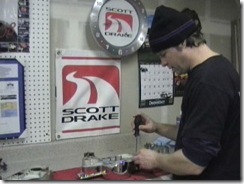 Before you disassemble the gauge assembly you should clean up the metal housing to remove any surface rust and dirt; I use a fine scotch brite pad to clean things up. Now its time to begin the disassembly process. 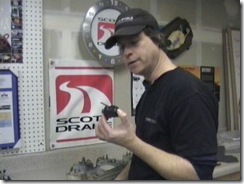 I start by removing the wiper switch control so I can clean up the chrome switch arm with super fine steel wool. Next remove the instrument bezel from the housing. From the back side of the assembly remove the small screws that hold the bezel and gauge housing together, you should then be able to separate the assembly exposing the gauge faces. 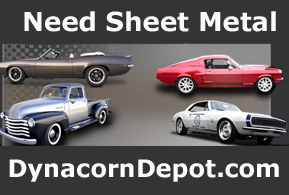 The instrument bezel for 1967-68 Mustangs has lens retainers and also a few other components attached that you will need to remove, clean up and reuse. The lens retainers are held in place by a few screws, the other items such as the turn signal tubs and light separators should be saved; and in some cases you may need to use the old light filters so hang on to the old bezel until your restoration is complete. The old center lens has a black option delete button on it; save this old lens so you can remove the button and place it in the new center lens. Clean up the gauge faces with wax and grease remover, this will clean the surface without removing any of the printing or paint from the gauge face. Be very careful with the gauge needles while cleaning, move them out of the way in their natural direction when cleaning around them. Choosing the correct bright orange paint to paint the gauge needles can be a mystery; some people use Testor Red model paint, I use Fluorescent Red Paint; its the correct color and looks correct when driving at night. Before you paint the gauge needles you should protect the gauge surface with some paper and then clean the needles with wax and grease remover. Fluorescent Red Speedo/Gauge PaintIf you are restoring a vintage gauge cluster, this is a must have item. This fluorescent red paint has a red/orange color just like the color found on vintage Ford, Chevy, Dodge, and other brands of instrument clusters.This special paint has a high fluorescent solids content and will meet or exceed the original fluorescent red coating. This is a true fluorescent paint that is specially designed to “glow” under the lights of your dash. Using a non-fluorescent paint will result in your gauge needles appearing dark or black at night and make your gauges difficult to read. Using a proper fluorescent paint is the only way to properly restore your gauge indicator needles. While the paint on the gauge needles is drying its time to begin installing the new lenses into the new instrument bezel, as well as installing any of the other components from the old bezel and lenses that I need to carry over to the new unit. As soon as the gauge needles are done drying and the lenses have been installed into the new instrument bezel all that remains is to attach the cluster to the bezel, install the wiper switch and then move on to cleaning up the wiring and install all new bulbs. 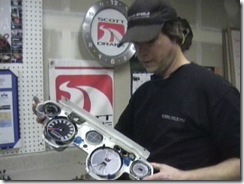 Your restored bezel is complete, ready to install and will improve your experience while driving your classic. Sorry I made so many spelling mistakes I will send this again. Maybe I should sleep a little more and not send emails before 5 a.m. 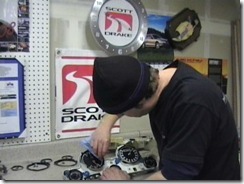 The fastest way is to remove the cluster and then remove the speedo assembly from the housing and reset it. Resetting can be tricky, the basic premise is to turn the number one at a time working from the left (I think) until all the zeros line of between the two tabs that keep the numbers situated in the speedo window. The drill trick will work but it could take hours to turn a car from 50k to 0k. 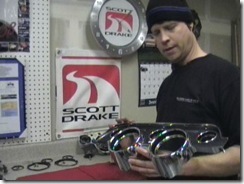 Where did you get the new black gauges? all i am able to find are white ones…. Also can you just buy replacement needles? 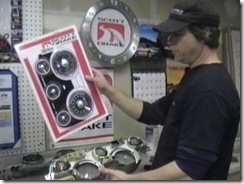 The gauges used for this article and video are the originals; only 65-66 mustang gauges are available new reproduction. There are no replacement needles available. 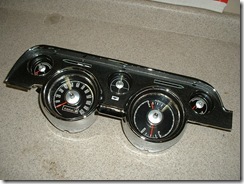 I have a 65 mustang with falcon gauges and I picked up a 66 gt style gages. 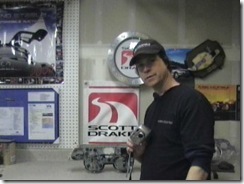 What must I do to complete a gage swap. The gt style gages look cool compared to the falcon gages. I put new bulbs in my gauges and put it back into the car. Now my gasoline, engine temp, and oil pressure needles are through the roof! what did i do and how do i fix it? 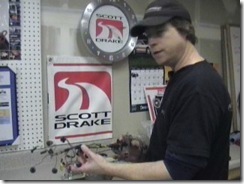 it sounds like you may have an instrument voltage regulator that has gone bad. The voltage regulator regulates the voltage by keeping the rate in check with a small pulse of voltage; when it goes bad the instrument gauges will go of the charts. Hi Stephen! I found your article via Google. 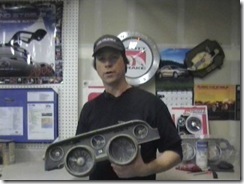 Though I am restoring a different instrument cluster (1965 Chevy Pickup), I found it very helpful! 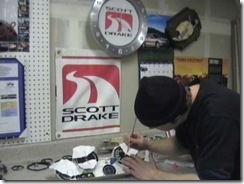 I had already found and purchased the special paint for the needles and will be painting mine shortly. Question: When I am reassembling, should I install any type of damping material, such as rubber blocks or something, between the cluster housing and the bezel, or between the lens and the bezel, or places where the pieces come in contact? Also – where can I get the little cardboard tubes that carry the light from the bulbs to the dash face? hi! I’ve got a 1968 instrument panel with three lights above the fuel/alternator gauge – not including the panel light under the blue gel. The one on the right is the turn signal indicator; the one on the left is connected to the panel’s wiring harness. But the one in the middle is connected back into the dash, and had to be disconnected to get the panel out of the dash. I tried tracing it back, and it runs into a piece mounted by the fuse box, and that connects to the main wiring harness. Any idea what that’s for? I don’t have the jewels that fit into the instrument bezel to cover the two left hand lights.